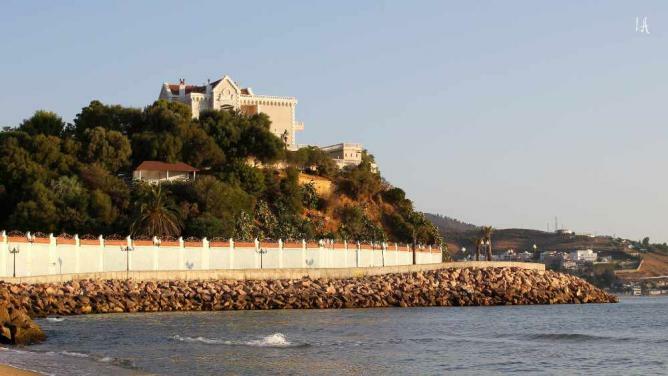 A city with superb architecture and a welcome and refreshing proximity to both fresh water and fertile farmland, Annaba is definitely one of Algeria’s most beautiful cities. Beauty aside, Annaba is an extremely important city, with its port handling the majority of the country’s mineral exports. It’s the history and culture of Annaba that give it its a charm; it was the city in which St Augustine lived out his final years, and the area now has a reputation for being a tranquil haven, much aided by its idyllic sea views and white tropical sand. Thankfully, this peaceful city avoided much of the violence of the 1990s, and thus, the elegant colonial-period center remains intact, complementing the beauty of the coastline. Tlmecen boasts a rich history and diverse culture, and is now a melting pot for various musical and artistic styles. The textiles and handicrafts here are beautiful examples of Berber and Arab-Andalusian heritage, and the architecture is spectacular also, with the mosque standing as a stunning architectural masterpiece. It is also one of the oldest and best preserved Almoravid buildings in the whole of the country. 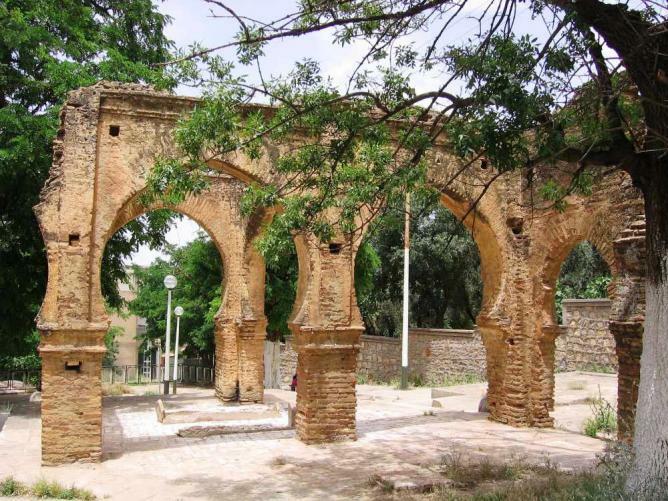 Tlemcen is idyllic, framed by the majestic mountains and still enshrined in artisan charm. Constantine is a great symbol of pride for the north. It arose out of its natural surroundings, having been protected by a deep gorge around an outcrop of rock that formed a natural fortress. A city of great political, cultural, and economic significance, Constantine has an enchanting ambiance and is still rife with a sense of fantasy despite its cosmopolitan and modern movements. Indeed, Constantine now spreads much further than its original natural fortress, but it is a city that stays true to its origins. Constantine boasts a thriving Arab-Andalusian music scene that is yet another way it manages to enchant and entice those who are visiting. Part of a pentapolis, Ghardaia is in fact only one of five hilltop cities built almost a thousand years ago in the M’Zab valley. 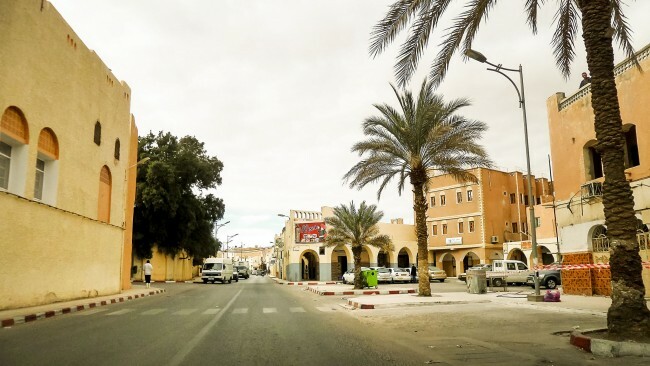 Serving as a major center of date production and for the manufacture of rugs and cloths, Ghardaia is an enchanting experience for all the senses. Divided into three walled sectors, this unique and charming fortified town boasts a historic center, complete with an intriguing pyramid-style mosque. Once described by the French philosopher Simone de Beauvoir as “a cubist painting beautifully constructed”, Ghardaia deservedly makes the list of the most beautiful places to visit in Algeria. This oasis in the beautiful and vast Sahara desert is characterized by its shifting sand dunes, palm groves, and much-needed salt lake. The magnificent sand dunes in the distance make for a spectacular backdrop to an already enchanting town. 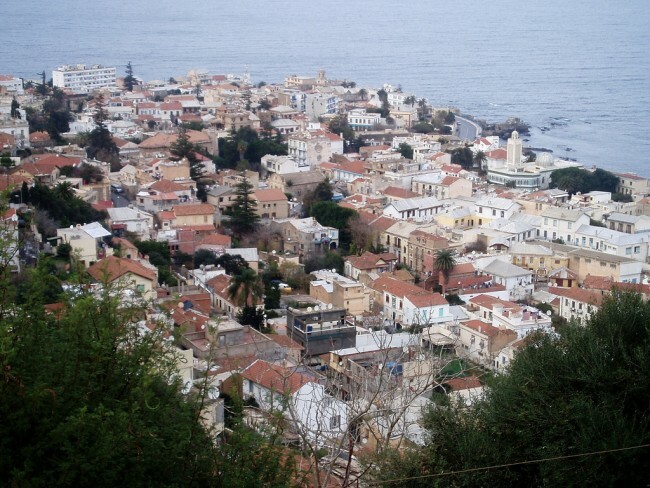 Timimoun, like any other place, and despite its small size, has its old district. 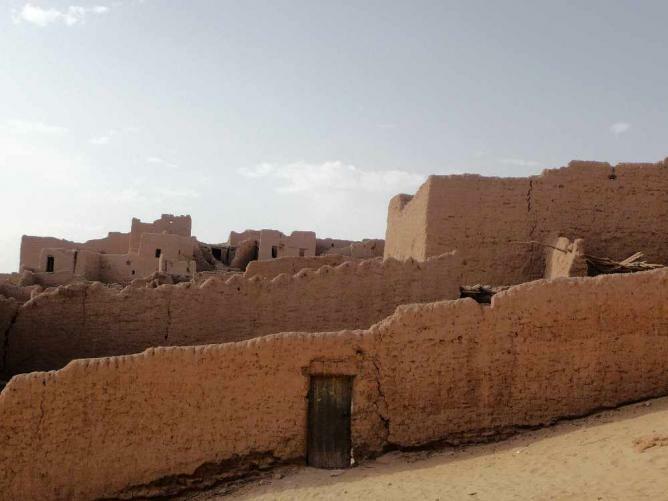 Otherwise known as the Ksour, it boasts a similar form of architecture to that found in Taghit – the intense, red mud walls that are widely characteristic of Sudanese architecture. In the newer part of town, the French influence is evident, but with much of the original architectural styles being drawn upon to maintain some continuity in this beautiful town. Notably, due to the late abolition of slavery, African influences are still evident here, especially in the gobbas – buildings dedicated to the marabout. Small in size but rich in culture, history, and aesthetic delights, Timimoun is indeed a beautiful place. Djanet is unique and alternative, with whitewashed buildings and bright blue doors lining the main street. It is almost reminiscent of an English seaside town. This charming setting is ideally located in the surroundings of majestic mountains that overlook the town. Djanet boasts a little town center, complete with all the standard necessities – a post office, a bank and basic shops. 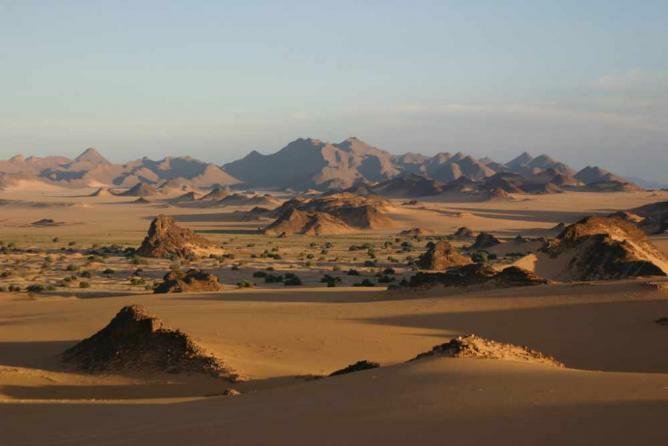 Djanet comes to life on the weekend when it attracts quite a few tourists, most of whom flock here to admire the stunning collection of rock paintings in the nearby national park. This fascinating city is a lively port that boasts a rich history and animated pace of life. Oran is famous for having contributed in particular to North Africa’s liveliest musical movement raj. The open bay offers an idyllic and tranquil escape from the bustling city streets, and said streets offer an insight into the Spanish and French past of the city. Modern Oran is divided boasts a refreshing waterfront, plus both an old and a new city, each section with its own unique charm and architectural landmarks. Close in proximity to the aforementioned Constantine, Batna is a welcomed continuation of the Moroccan Atlas mountains and lies just north of the beginning of the stunning Sahara. 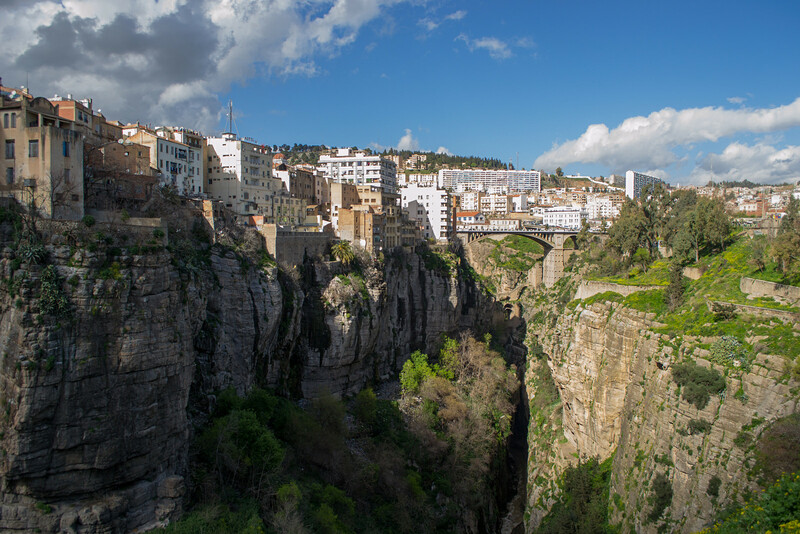 Now the fifth biggest city in Algeria, Batna started life as a French military fortress, enabling the French access to both the Sahara and the Atlas mountains. Today, Batna is an agricultural hub that proudly stands as the main market center for the region. The vibrant and animated ambiance of the city gives it its own unique beauty, with numerous cinemas and bustling cultural centers. Last but not least is the capital, Algiers. Boasting two of the country’s most beautiful mosques, it has to make this list. 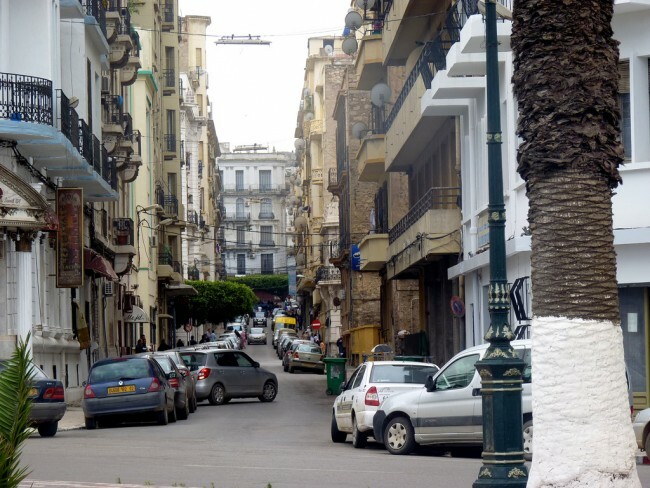 Located on the stunning bay of the Mediterranean sea, Algiers is a modern and metropolitan city, and never fails to make an impression with its rare beauty and almost disorienting architectural contrasts. With wide French-built boulevards and elegant villas alongside traditional and historic Islamic landmarks, including the enchanting Kasbah, its architectural fusion serves to emphasize the beauty of the city. The enchanting labyrinthine streets leading to the stunning bay of Algiers are yet another of Algiers’ picturesque features.